Cute and FUN Push and Pull Toys for Active Toddlers! Are you looking for the cutest push and pull toys for toddlers? Toddlers love to push and pull things! From their bedroom to the living-room and to the kitchen, off they go, wobbly legs still, but always pulling their toys along with them…Like they have a purpose! It is the cutest thing in the world to watch a toddler pull their cute pull toy all over the house, isn’t it? I gathered a few of the cutest push and pull toys for toddlers! They are waiting for a cute toddler to start taking them to all kinds of places! They love to follow toddlers everywhere they go! Ducks are among my favorite pull-along toys for kids! They are so cute, so much fun and so unique! 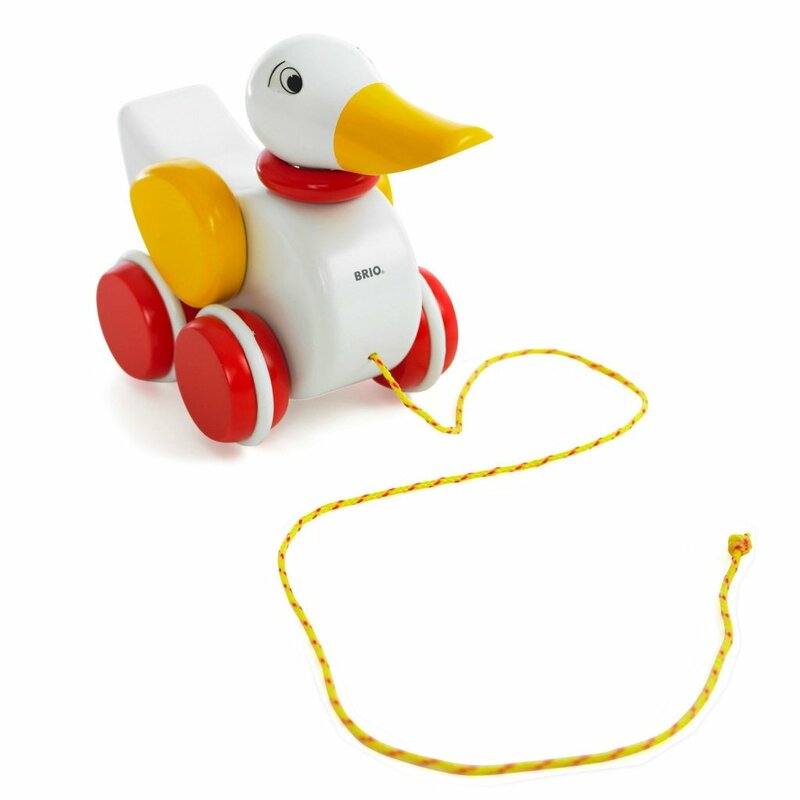 A cute wooden duck pull toy is always a fun idea! His head will move and his wings will flap! He is absolutely adorable and of the best quality possible! You can’t go wrong with this fellow! How about finding him a nice ‘duck name’ now? 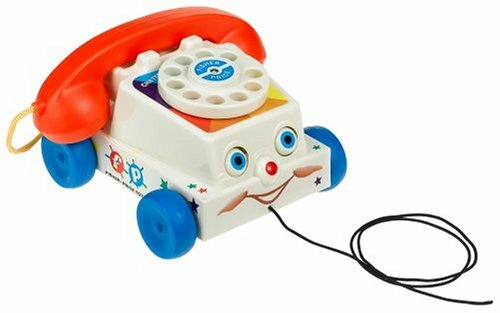 Fisher Price Classic Chatter Phone Pull Toy! Best Pull Toys for Toddlers! 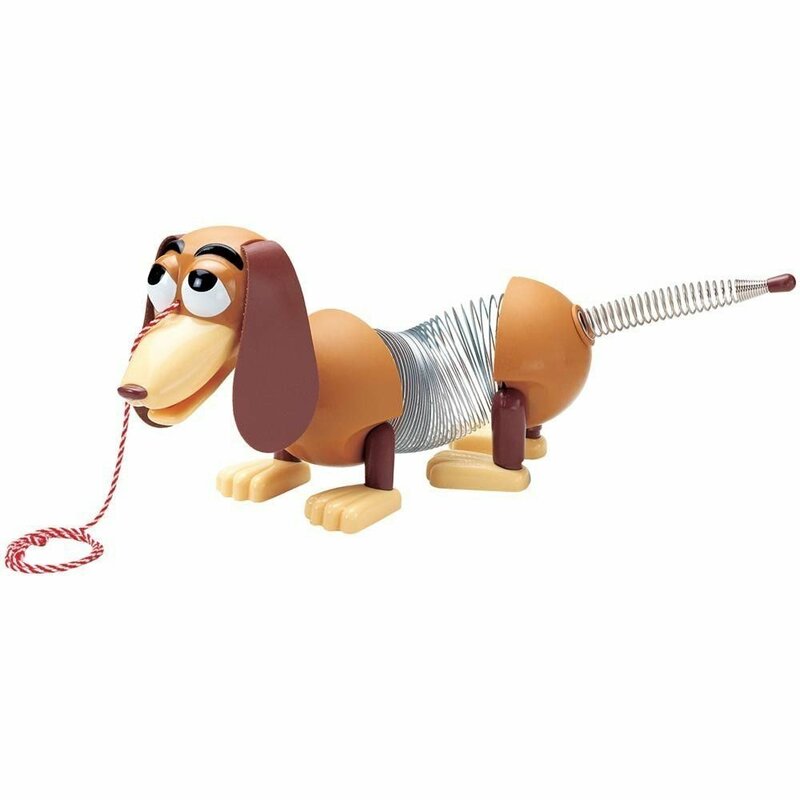 It was one of my favorite pull toys when I was just a toddler myself! This is one of the classiest ‘retro’ toys for toddlers on the planet! What child can resist this adorable pull chatter phone? Toddlers love dogs and they will fall in love with this one immediately! Another ultra-fun vintage pull toy for kids! This wooden zebra pull-along toy is so adorable!! 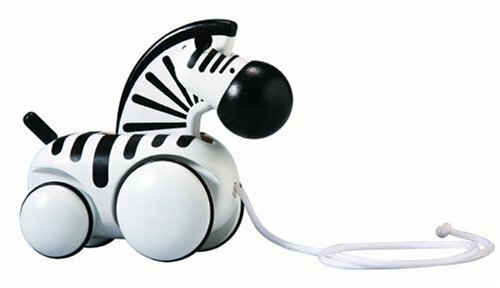 I LOVE this cute pull zebra toy that looks like the one from the movie ‘Madagascar’! When kids start pulling her, her head will move up and down! So, where are you taking her today? Adorable Snail Pull Along Toy! Look who (very slowly) came to play now! 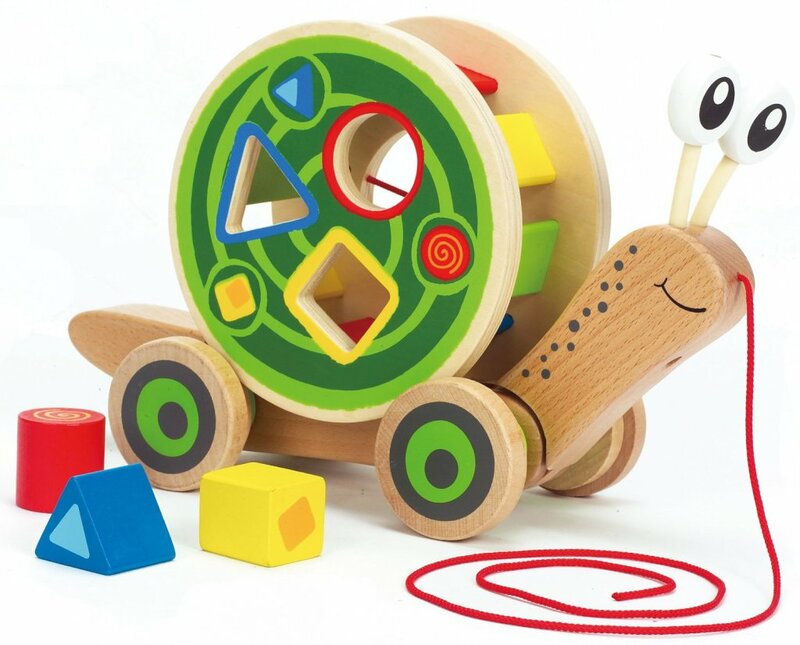 A fun wooden snail pull-along and shape sorter toy for toddlers! Look at those happy ‘snail eyes’! She can’t wait to hang out with your toddler the whole day teaching him all about fun shapes and colors! Cutest Wood Frog Pull Toy for Toddlers! 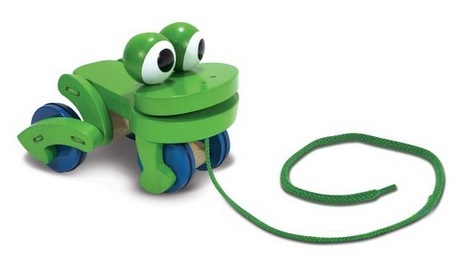 This is my ultimate favorite, most adorable, cutest and happiest wood pull frog toy around! Look at his huge eyes! He loves to ‘hop along’ your toddler all day long! The Most Fun Push Toys for Toddlers! As toddlers push this toy, it makes a cute sound! Perfect to develop their little toddler leg muscles! 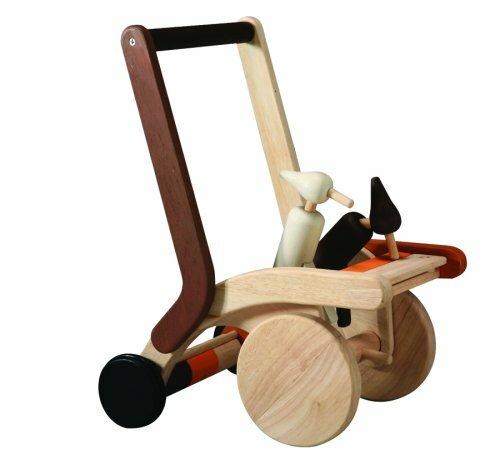 When children push this fun walker, it creates a sound! It stimulates children to walk and develop their motor skills while they are having a blast! It is made from organic rubber wood! 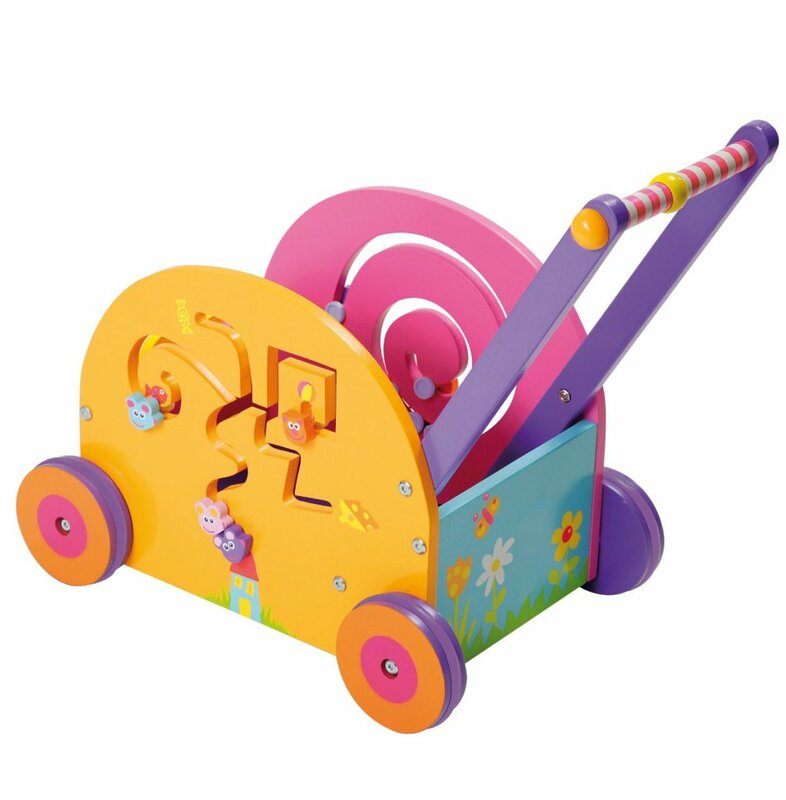 Boikido Adorable Wooden Push And Play Wagon for Girls! Another cute “baby walker” push toy! Push toys are great for toddlers, since they encourage balance and walking. The colors are very vibrant and attractive too! Another big plus is that they can carry other small toys inside the wagon! They are going to love that! 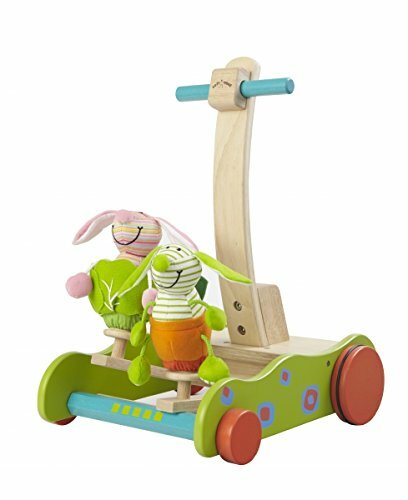 Cute Hopping Bunny Walker Push Toy! It makes them want to push and push and push! 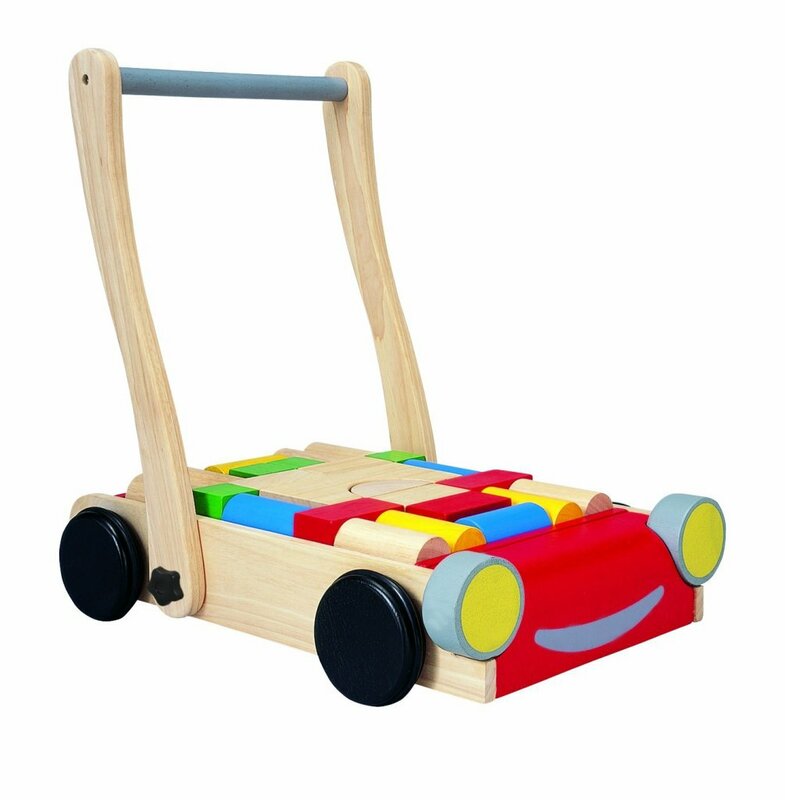 The Most Fun Wooden Activity Walker Toy! 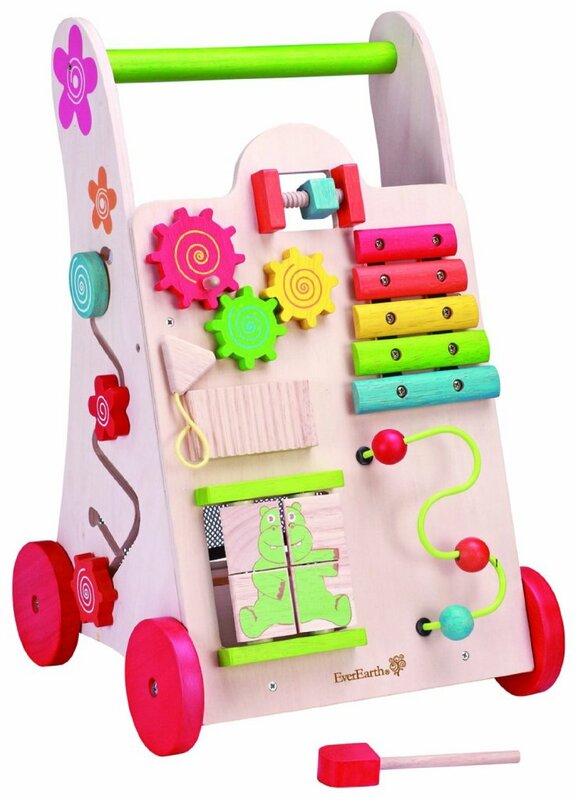 This is not only a great walker push toy for children, but also a fun activity toy board complete with fun puzzles and bead maze, xylophone, shape sorters, cute tumbling flowers and storage space! Cute Pink Van Walker for Girls! 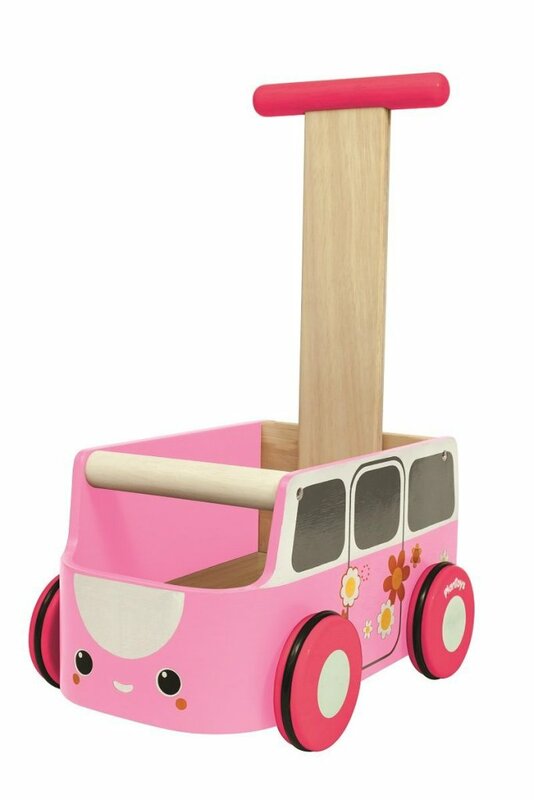 I couldn’t resist showing you this adorable pink van walker push toy for toddler girls! It fits her favorite stuffed animals and small toys inside! They love to make several ‘stops’ around the house and ‘deposit’ a cute toy or plush animal! 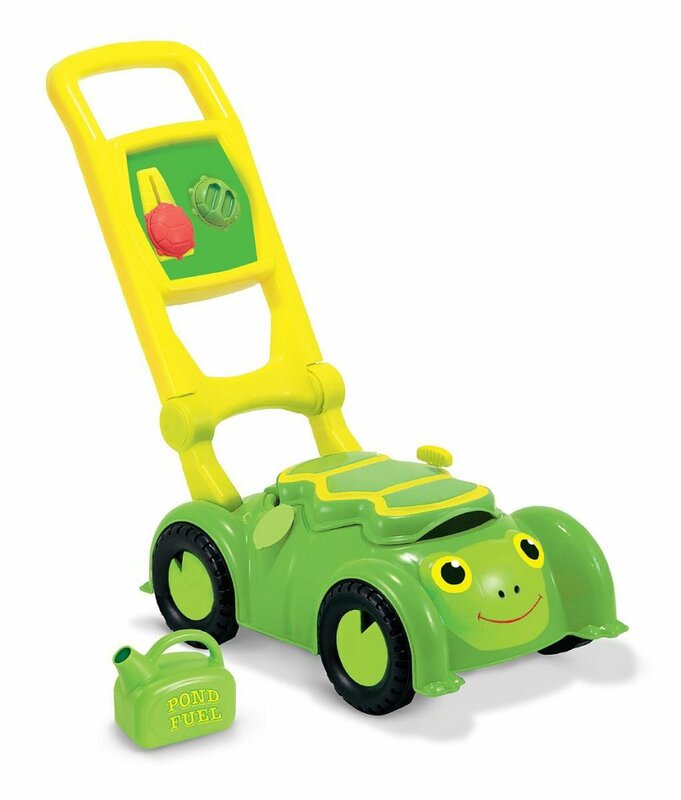 Cute Turtle Mower Push Toy! Is it a fun push toy? YES to all the questions! Step2 Whisper Ride II, Push Blue Car for Toddlers! 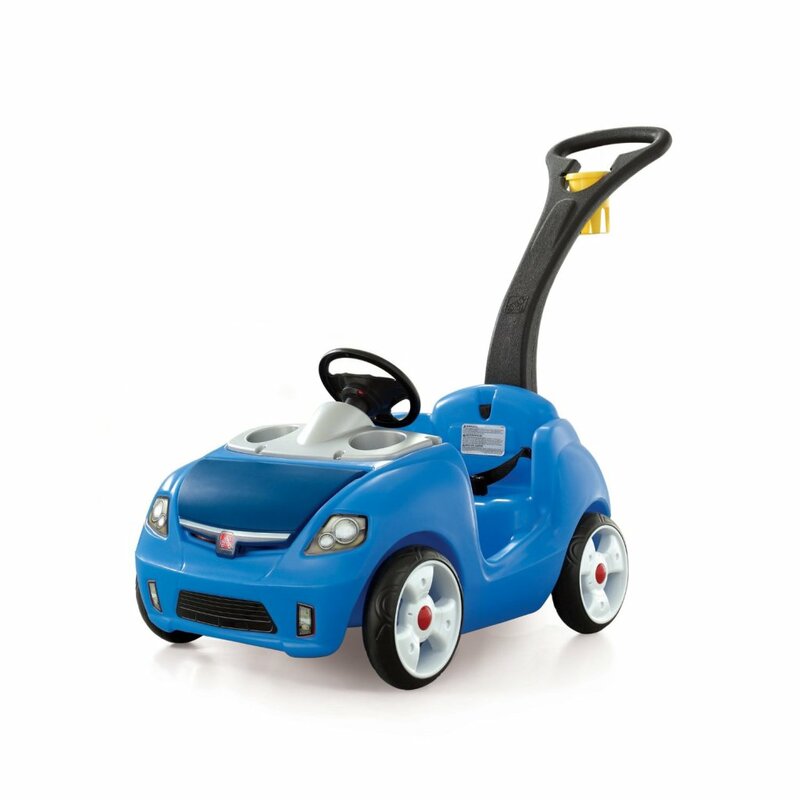 This cute blue car is one of the best push car toys for toddlers and parents! Mom and dad can also use this adorable and fun blue car to actually push their toddlers around the block, the zoo, the park or around the house! Toddlers also love to push their favorite stuffed animals and dolls and maybe even their baby brother or sister! Best Ride on Toys for Toddlers! Fun Toys for 1 Year Old Boys!